Honduran communities opposing mining in their lands have added another tool to their arsenal, and not a moment too soon. Residents of seven municipalities in different parts of the country voted against mining in open town hall assemblies (cabildos abiertos) over the past year and a half. At least 10 municipalities in Honduras have now been declared territories free of mining. “We don’t want any of these kinds of [mining] projects because they do more harm than good,” says Amilcar Díaz Cruz, an active member of the National Federation of Farmworkers (CNTC) and a resident of the community of El Aguacate, El Negrito, Yoro. 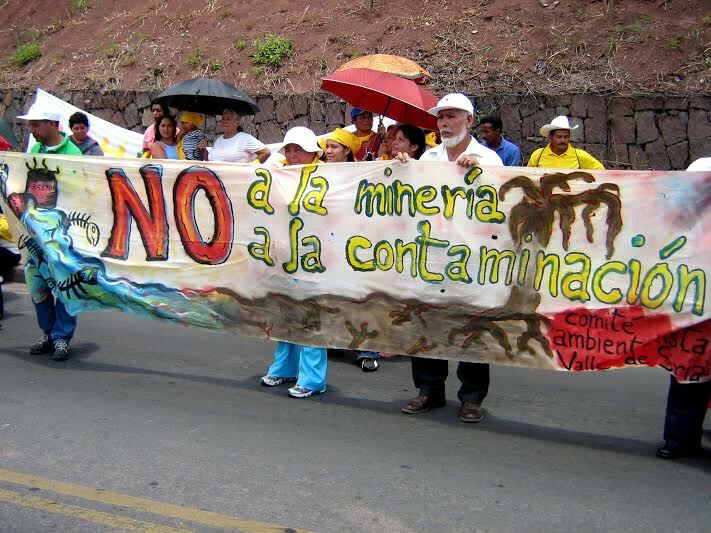 Residents of the municipality of El Negrito voted against mining at an open town hall assembly in 2013 and again on March 28, 2014. “Only a few people benefit from mining, but the harms are borne by all the communities and future generations,” says Díaz Cruz. The referenda took place as the Honduran government actively promoted investment in the sector, and its efforts are already ramping up in 2015. “It’s a very promising year for the mining sector,” Agapito Rodríguez, director of the Honduran Institute of Geology and Mines, told Honduran media on January 3. The Institute currently has 500 applications from national and foreign companies seeking exploration and exploitation licenses, said Rodríguez, who confirmed that 31 have been granted. “This year we’ll continue to facilitate the administrative process so that we get fresh investment in the country,” he said. Canadian, US and European companies currently operate a handful of large-scale metallic mines in Honduras, producing gold, silver, zinc, lead, and iron ore. But until two years ago, the development of any new projects was on hold. The 2013 General Mining Law put an end to a seven-year moratorium on mining concessions. In the wake of the new law and the impending slew of new concessions, communities around the country have pushed for votes on the issue at open town hall assemblies, resulting in formal municipal-level resolutions and declarations. Grassroots-instigated municipal referenda on mining in Latin America first took the stage in Tambogrande, Peru in 2002 and in Esquel, Argentina in 2003. The movement has since expanded up and down the hemisphere. In Guatemala, community-driven consultations have become a force to be reckoned with, particularly in Mayan territories. Since 2005, well over one million people in municipalities around the country have voted overwhelmingly against mining, as well as against large-scale hydroelectric dams in some cases. Municipal referenda on mining aren’t without precedent in Honduras, where a strong community-led movement against mining has been active for more than a decade. Open town hall assemblies resulting in municipal bans on mining were held years ago in two municipalities in the department of Santa Bárbara: Santa Bárbara, in 2007; and Nuevo Celilac, in 2010. Most of the declarations of mining-free municipalities, however, have taken place since mid-2013. The initiative crosses party lines. The votes against mining have taken place in municipalities with National Party, Liberal party, and Freedom and Refoundation (LIBRE) party mayors. On August 25, 2013, mining was rejected in an open town hall assembly in the municipality of Sabá, Colón, in northern Honduras. Residents of Danlí, El Paraíso, in eastern Honduras, followed suit on October 22, 2013. On March 28, 2014, thousands of residents marched against natural resource exploitation in the municipality of El Negrito, Yoro. The action ended in an open town hall assembly with the mayor proclaiming El Negrito to be free from mining and declaring a logging ban. Hearing from affected communities informed the local resistance to mining in El Negrito, says Díaz Cruz. He points to the health and environmental impacts left behind by Goldcorp’s San Martin gold mine in the Siria Valley. The municipal government was supportive of communities’ demands for consultation and a municipal declaration against mining, says Díaz Cruz. He hopes the Honduran government will respect the decision, but doesn’t plan to stop organizing in the meantime. “We’re always going to carry on our struggle, and not just as a farmworkers’ organization. We’re going to carry it on at the community level, with all the social organizations and groups that exist in the communities, like community councils, water boards, and parents’ associations, because that’s how we’ll defend our natural resources,” he says. Residents in other municipalities declared to be territories free of mining have also vowed to remain vigilant. On June 3, 2014, the population of Balfate, Colón voted against mining in an open town hall assembly. Two days later, on June 5, the municipality of San Nicolás, Santa Bárbara was declared a territory free of natural resource exploitation by the Municipal Youth Commission, which also led a massive march against mining and hydroelectric dam concessions in the area. On June 7, 2014, the mayor of Dulce Nombre de Culmí declared the municipality to be a place free of mining exploration and exploitation. The statement was made at an open town hall assembly in the northeasternmost region of the department of Olancho, with the presence and unanimous support of representatives of community councils, local water boards, the Indigenous Pech communities of Dulce Nombre de Culmí, and other local organizations and residents. Open town hall assemblies in northwestern and eastern Honduras both addressed mining issues on August 15, 2014. In El Progreso, Yoro, which had already positioned itself as against mining years earlier, the mayor declared that the municipality would reject mining concessions and water privatization. In Teupasenti, El Paraíso, communities expressed their opposition to mining activities. Vivian Martínez is President of the community council (patronato) of Las Delicias, one of the villages at the forefront of community resistance to mining in Teupasenti. The mayor had been aggressively promoting a planned iron ore mining operation in the Coyolar Valley, between the communities of Las Delicias and San Lorenzo. Martínez and other local community leaders pushed for an open town hall assembly. The outcome was at odds with the mayor’s promotion of mining, but the mayor announced that he would abide by the results. 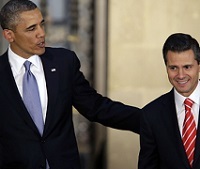 Martínez believes the communities’ decision will in fact be respected. On August 30, 2014, the 16 communities in the Florida sector of the municipality of Tela, Atlántida voiced their opposition to mining in a sectoral open town hall assembly. Ten out of 298 municipalities in the country may seem like a drop in the bucket, but the efforts to stop planned mining operations at the local level have been catching on. Between new mining concessions and other efforts to promote mining investment, though, communities opposing mining will face an uphill battle in 2015. The Honduran Council of Mining and Extractive Industries, Trade and Investment (COMICOIN) has pronounced 2015 to be the “year of mining” in Honduras, and announced that a conclave of mining investors will be held in August 2015 to develop the industry. In Teupasenti and other parts of the country where communities have managed to have their municipalities declared territories free of mining, people are hopeful the declarations will hold and that they will inspire other local mining bans throughout Honduras. “The truth is that when communities are united, it can be done,” says Martínez. Sandra Cuffe is a freelance journalist covering Indigenous, environmental, and human rights issues in Central America. You can support her work here.